When your project requires cutting more than a few pieces of tile, whether ceramic, porcelain, or natural stone tile, you’ll be sure to find the right tile saw here for the job. We offer a variety of tile saws including table top saws (small fixed tray and standard sliding tray), overhead bridge saws, and ring saws from leading class manufacturers including Dewalt, Gemini, IMER, Husqvarna, MK Diamond, and QEP. The Apollo Ring Saw will cut through any hard material such as ceramic tile, engineered and natural stone, marble, granite, glass, non-ferrous metals, acrylic, and Plexiglas. Cuts a radius, curve or straight line! Cuts a radius, curve or straight line! The Gemini Taurus 3 is a light duty Ring Saw, using the same technology found in the Revolution wet saw. The Husqvarna MS 360 Masonry saw is ideal to use for pavers, bricks, stone and concrete block. The contractor's choice for production sawing and the chosen preference for the rental market, the Husqvarna Tilematic TS 250 X3 delivers more power with its high torque 1-1/2 hp motor. Rip cut up to 24" tiles or diagonally cut up to 18" tiles. The newest saw from Husqvarna is now available! The TS 60 includes a free stand, free blade and free shipping. The Husqvarna TS 90 is a tile saw with cutting capacity like a rail saw. A versatile saw perfect to use for both large and small tiles. 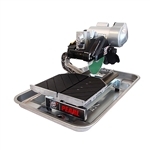 The Imer Combi 200VA Tile Saw w/Stand is the most accurate lightweight tile saw made today. The Imer Combi 250 VA takes saw design and engineering to a whole new level. The Combi 250/1000 Lite w/Stand is designed to cut today's tile and stone pieces which are larger and more expensive then in years past. 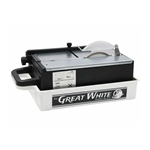 MK-100 with Blade is ideal cutting marble, ceramic, granite, and slate. It is versatile, strong and lightweight. 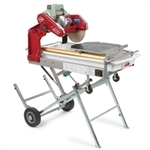 The MK 101-24 is engineered for versatility, durability and precision cutting of tile & marble. The MK-101 Pro 24, 1.5 hp is engineered for versatility, durability and precision cutting of tile & marble. JCS stand welded to saw for easy transport. The MK-101 Pro, 1.5 hp is engineered for versatility, durability and precision cutting of tile, porcelain & marble. The MK-101 Pro 24, 1.5 hp is engineered for versatility, durability and precision cutting of tile & marble. The MK-101 rips 20" tile, diagonally cuts 14" tile, has a 3" depth of cut provides unequaled quality, performance and value. 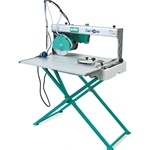 The MK-370 Tile Saw is the perfect tool for the do-it-yourself craftsman. 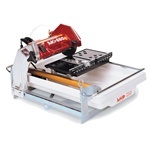 The MK-660 Tile Saw provides the best value for your money of any tile saw on the market. With a patent pending misting system that greatly minimizes the amount of dust produced when cutting, the MK Diamond TX-4 Tile Saw is more than just your typical wet tile saw. The Pearl VX10.2XL Pro Wet Tile Saw gives you all the benefits of a compact saw with the ability to cut larger format tiles. At 83lbs., it's light enough to be easily taken to various job sites. The QEP 83200 24" Bridge Saw's Laser Cutting Guide is designed to project the alignment and travel path of the blade or cutting wheel, taking the guesswork out of the cut being made. Cut any size tile imaginable with a maximum thickness of 3/4″ (2cm). It has a powerful waterproof motor which drives a 6″ diamond blade. Minimal water spray and a super quiet motor make this saw ideal for indoor or outdoor use. From backsplashes to plank tile, this is a must have tool! The RUBI DC-250 range of tile saws is formed by machines with mobile heads offering the professional tile Installer maximum functionality and reliability. A Hand Held Tile Saw is a portable saw with water supplied by a hose connection or by an onboard container. These saws are ideal for touch-ups and specialty cuts, such as rounded or beveled cuts, with the quality of the cut largely depending on the skill of the user. They can be used on all natural and manmade tile materials. 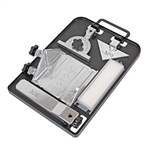 Small Fixed Tray Tile Saws are small, lightweight, and low cost making them ideal for household jobs and the DIYer. To make a cut with these easy to use saws, simply push the tile across the blade, similar to how wood is cut with a table saw. A Sliding Tray Tile Saw has a tray that slides along on guides and allows for the cutting of larger tiles than fixed tray models. The tile is placed on a tray that is then slid through the blade, allowing for cleaner and faster cutting that is particularly useful on the job site. If a Tile Saw isn’t what you’re looking for, be sure to check out our other saws including Site Saws & Slab Saws, Portable & Circular Saws, and Concrete Saws. You’ll be sure to find the right saw for you.